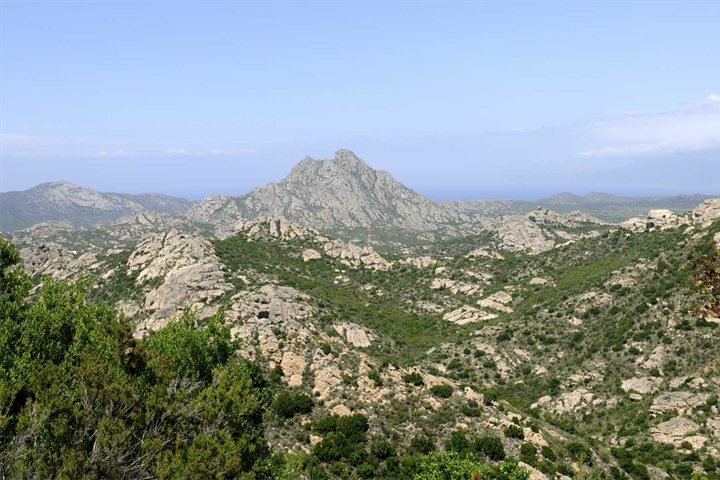 Did you see the Hairy Bikers exploring Corsica? Their new show, Hairy Bikers' Mediterranean Adventure, can be seen on BBC2 or on BBC iPlayer. You may or may not have caught it on BBC 2, but the Hairy Bikers continued their recent Mediterranean journey with a foodie extravaganza across the length of beautiful Corsica. 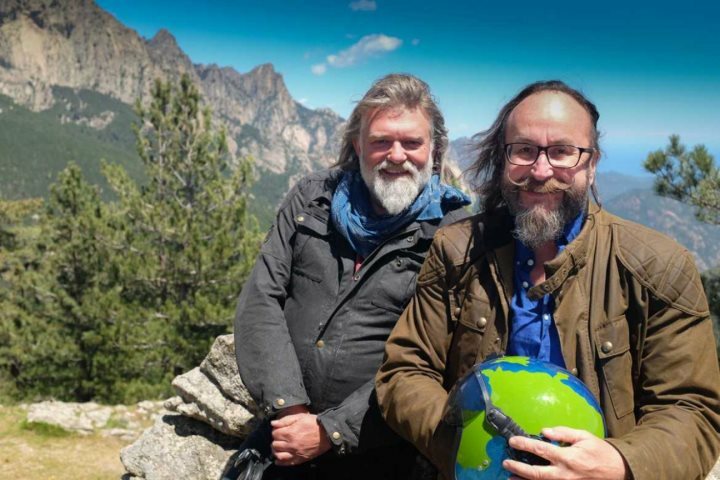 David Myers and Simon King's latest show, Hairy Bikers' Mediterranean Adventure, follows the pair through the likes of Southern Italy, Sardinia and Southern France as they hunt for some of the finest cuisine in Europe. Episode three is all about Corsica, with the bikers heading from the far south in Bonifacio, to the far north in Bastia, visiting the likes of Porto Pollo, the east coast and the rugged interior along the way. Throughout their journey, the bikers passed many of the finest self-catering properties and hotels in our collection, which means that you can follow in their food-filled footsteps during a holiday of your own. 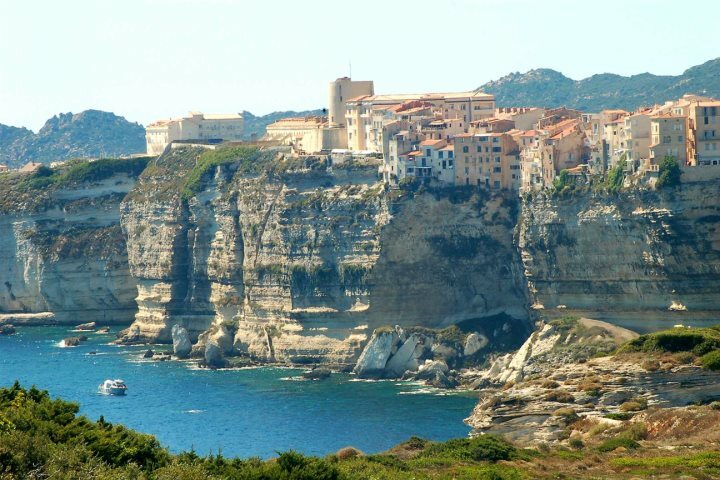 The Hairy Bikers began their Corsican odyssey in the southern fortress town of Bonifacio, exploring the historical streets and dipping into a traditional delicatessen. Here they learnt not only about the fascinating history of Corsica, but also the core themes of the island's culinary identity. Meat, cheese and chestnuts form the basis of Corsica's traditional cuisine, referred to as the 'Corsican Trinity' by Si and Dave. They tick off one of these members of the trinity in some style, sampling the meat of the 'tiger cow', a species preserved by a farmer based near to Porto Pollo, on the south-west coast of the island. Si refers to this barbecued meat as the best piece of meat he's ever tasted; not a bad advert for Corsican produce! The bikers go on to make their own veal and olive stew, a real flavour of the island, as well as sampling the produce of rustic Corsican pigs fed by chestnuts. 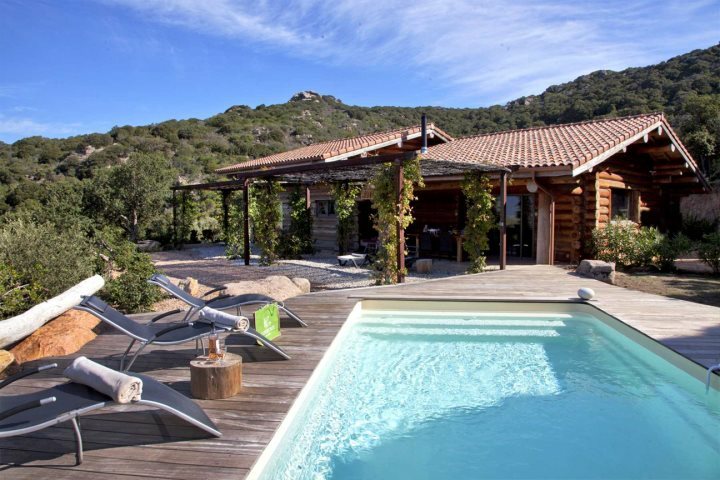 A stunning hideaway retreat just to the north of Bonifacio on the way to Porto Pollo, Casa Laricciu is a remarkable log house, boasting its very own pool and some incredible views. Find out more about this property now. 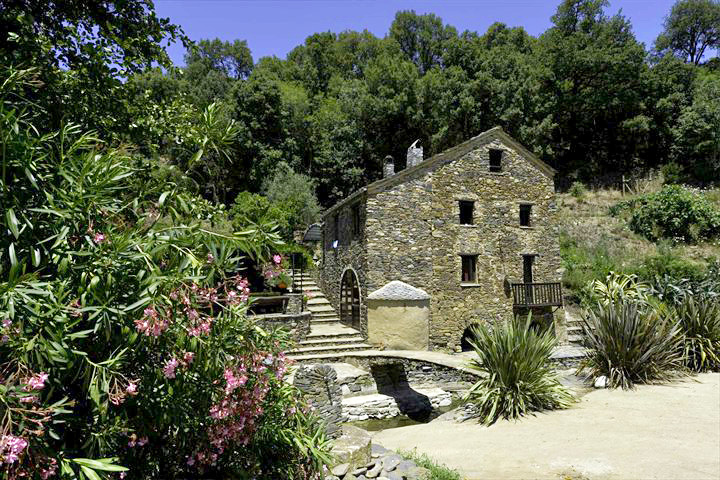 Located just to the east of Porto Pollo in charming Olmeto, Bergerie Olivella is a beautiful and authentic bergerie boasting a tranquil setting which benefits from incredible views across the surrounding countryside. Also located in Olmeto and benefiting from stunning views, this time down towards the waters of the Gulf of Valinco, Villa Bumortu is a modern, light and airy property. From its inviting pool area and spacious lounge, to its relaxing location and modern kitchen, there's so much to like about this stylish property. 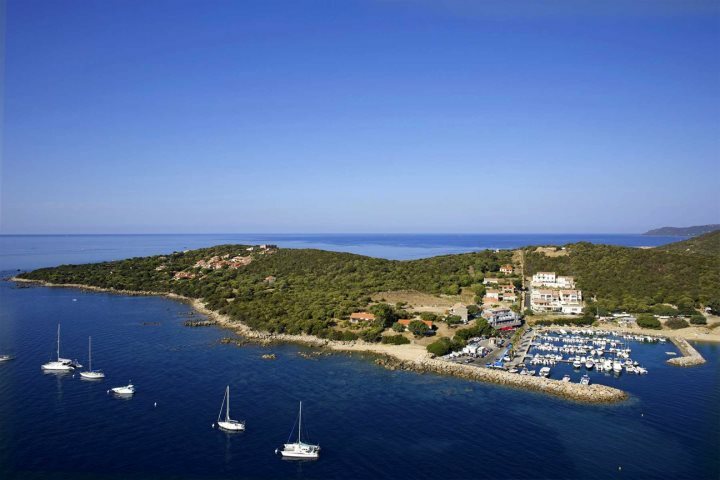 A sophisticated boutique hotel enjoying an enviable position beside the water in Porto Pollo, Hôtel le Golfe benefits not just from its idyllic setting, but also from the likes of its direct access to the beach, a gastronomic restaurant and gorgeously designed rooms. After a scenic drive through the mountains, the bikers arrive on the island's scenic east coast and Etang de Diane, an area famed for its oysters and mussels. 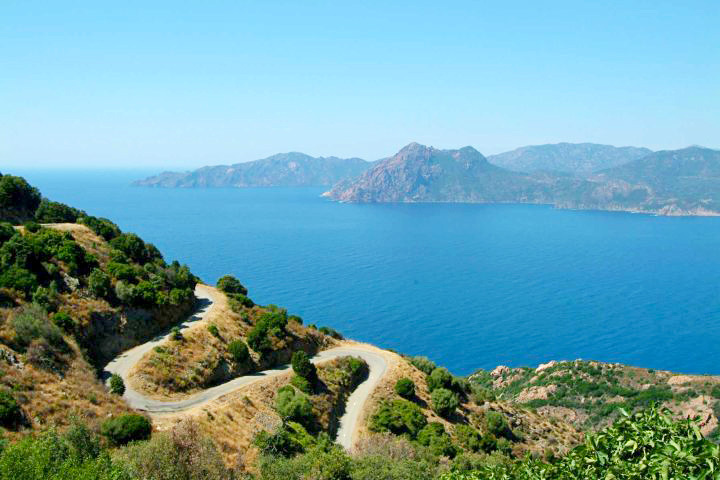 The real star of this segment is the breathtaking scenery afforded by the Regional Natural Park of Corsica. The park covers nearly 40% of the island, home to stunning mountains, beautiful forests and diverse flora and fauna. Dave and Si also took some time to sample the wonderful cheese produced by the goats that Corsica is famous for. The cheeses they tried were found close to the remarkable setting of Corte, one of the gems of Central Corsica, ideal for walking and plenty of other outdoor pursuits. 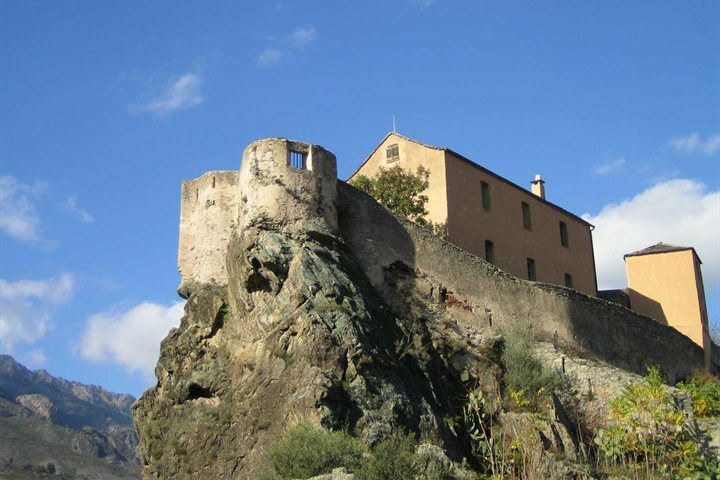 Located to the north of Etang de Diane and just to the south of Bastia, U Mulinu is an authentic and stunning converted flour mill which is nestled in the undiscovered region of Casinca. 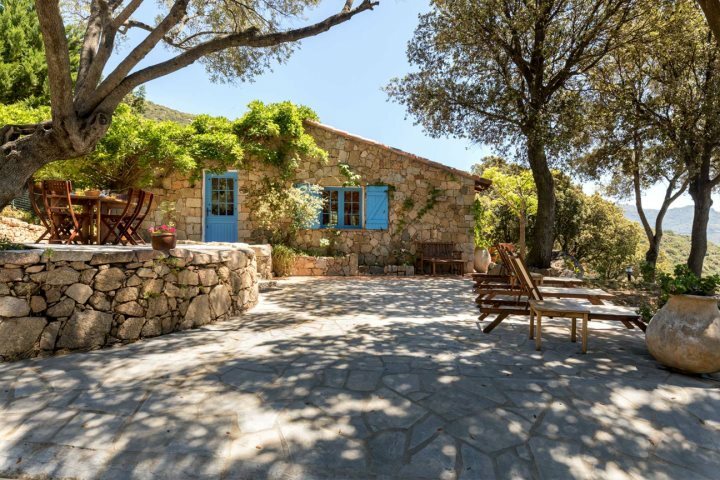 Promising a peaceful and relaxing holiday experience, the property is perfect for nature lovers hoping to discover the beauty of Corsica. Bastia is where the bikers ended their trip and embarked on a ferry journey to Marseille, where the next episode will begin. 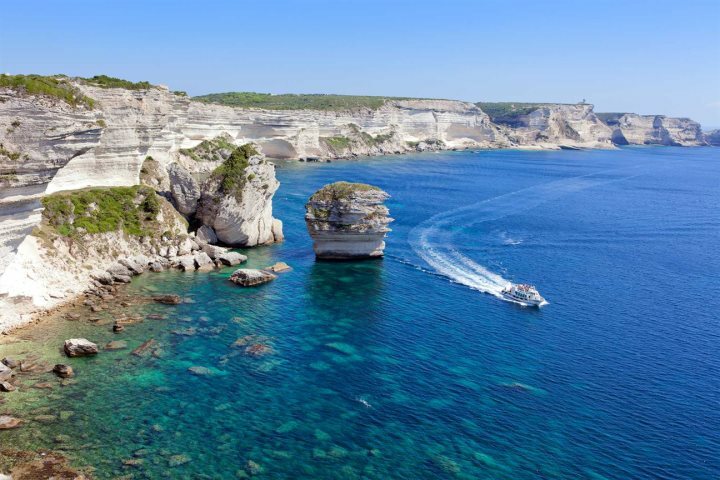 We're sure they took some time off camera to explore Corsica's north-east city, such is the fascinating character and history to be discovered here. 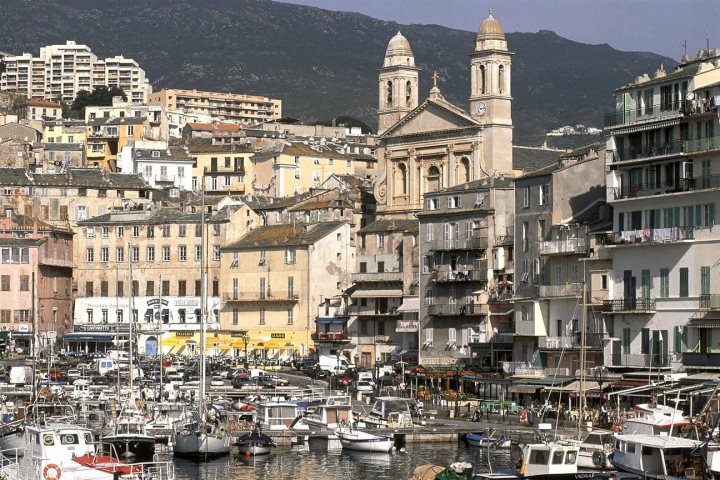 The history of Bastia is best discovered from the port area and up into the streets that lead into the heart of the city. Throughout your exploration here, you won't just discover a number of inviting restaurants, but also tall, faded buildings that rise beside many striking landmarks. Shoppers will also fall in love with Bastia, with some of the best shopping experiences to be had on Boulevard Paoli and Rue César Campinchi. 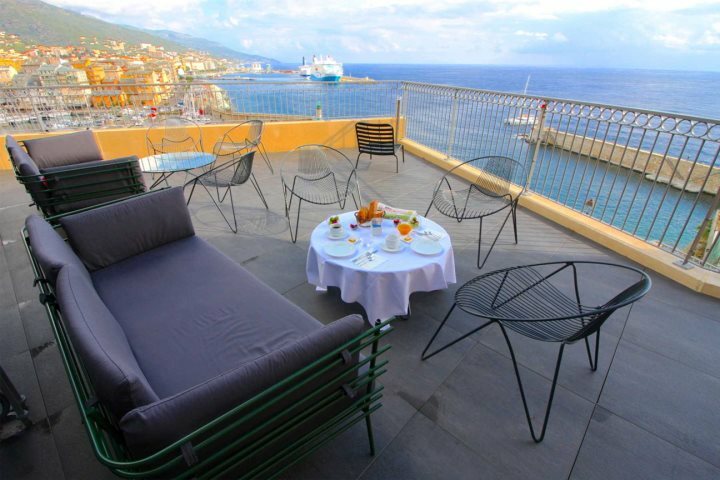 Enjoying wonderful views across to the port area of Bastia, as well as panoramic vistas of the sea, Hôtel des Gouverneurs is a wonderful boutique hotel enjoying a top location amid Bastia's Citadel. Want to find out more about the Hairy Bikers and their latest adventure? Pay a visit to their Facebook page for all of the latest news and information. 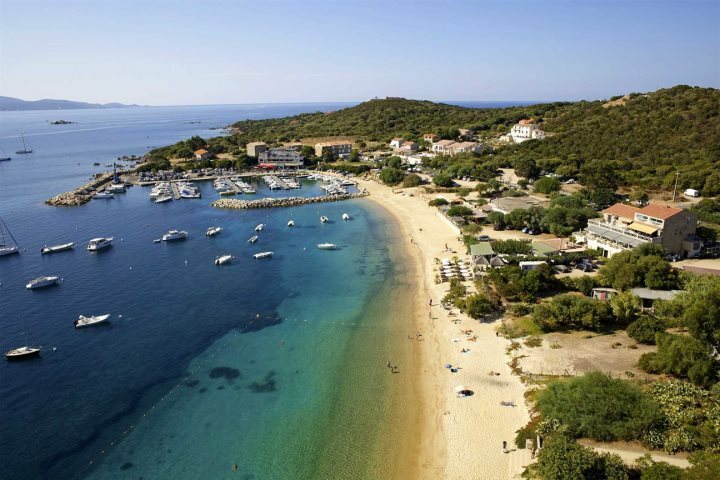 Fancy booking your own Corsica holiday now? Visit our website or feel free to call our expert sales team now on 01489 866931.